Absolute Antibody develops next generation engineered antibodies for the biomedical research and diagnostics markets. 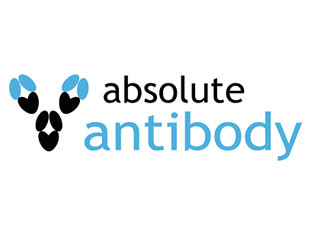 Absolute Antibody Ltd was founded in Oxford, UK, in August 2012, with the vision that all antibody users should be able to use recombinant antibodies, which are absolutely defined by their amino acid sequence. This view gained support in 2015 with a Comment in Nature magazine by Bradbury and Pluckthun (+110 co-signatories) – “Reproducibility: Standardize antibodies used in research“. Rather than creating entirely new antibodies (or antibody-like molecules), Absolute Antibody is building a catalog by taking existing antibodies (often from hybridomas) and then manufacturing them in a superior way and improving their usefulness by engineering. The company achieves this through a proprietary manufacturing platform based on transient transfection for the recombinant production of sequenced and engineered antibodies, AbsoluteAbs (AbAbs). In this way 100s of mgs can be produced within two weeks and it allows Antibody Engineering, e.g. rapid reformatting or generation of unusual formats like Fc Silent™, bi-specific antibodies, recombinant Fab and Fab2 (AbFab2™) fragments. Antibody sequencing, manufacturing and engineering services are offered to all antibody users and the ever-growing antibody catalog already includes 20 research-grade biosimilars, as well as recombinant versions of “classics” (e.g. anti-F4/80 [Cl:3A-1], anti-phosphotyrosine [PY20] and anti-c-myc [9E10]).